The story of Thailandia began in Northeastern Thailand in the village of Sahatsakhan, Kalasin before moving to Bangkok and finally settling in Bend, OR. We serve authentic Thai street food using authentic Thai spices & ingredients and traditional recipes perfected over generations. We have rotating specials at our Podski / River’s Place locations and are experimenting with new dishes using seasonal ingredients all the time. Please stop by to see what we’re cooking up today! Our regular menu can be viewed here. Thailandia is now accepting orders for delivery via Uber Eats! We now have two locations! 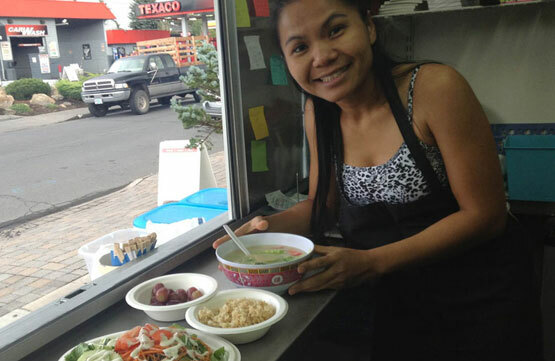 We are serving delicious, authentic Thai street food at The Podski and River’s Place on most days. We also accept orders by phone at both locations at (541) 390-0230. The Podski location now accepts delivery orders via Uber Eats!